Vernacular architecture is an architectural style which reflects local traditions. It is designed based on the local needs and availability of construction materials locally. The term “vernacular” initiated in 1800 as a concept. It originated when the people were forced to use natural resources as a shelter, in response to the climate. It is the simplest form for addressing human needs. It is a type of architecture which is indigenous to a specific time and place and is not copied or replicated from anywhere and uses handmade old construction practices. It puts an emphasis on sustainability, on using materials ensuring the home which stays cooler from inside without the need of power intensive air-conditioning. It includes the basic green architectural principles of energy efficiency and using the materials in the proximity of the site. In the modern world, vernacular strategies need to be applied to modern architecture. The architectural design for home is incorporated as a vernacular style in the contemporary forms. Many of the sustainable architectural design principles depend on the references to vernacular architecture. Modern Architecture: Know its Importance & Characteristics! The Encyclopedia of the Vernacular Architecture of the world defines vernacular architecture as comprising of the dwellings and all other buildings. It is related to their environmental contexts and available resources. They utilize traditional technologies. The vernacular architecture is built to meet the specific needs, accommodating the values, economies, and ways of life of the cultures that produce them. In vernacular architecture, users design and build at the same place. So, vernacular houses are more cost-effective as compared to contemporary style houses. An affordable home design methodology is used to minimize cost and environmental impacts. 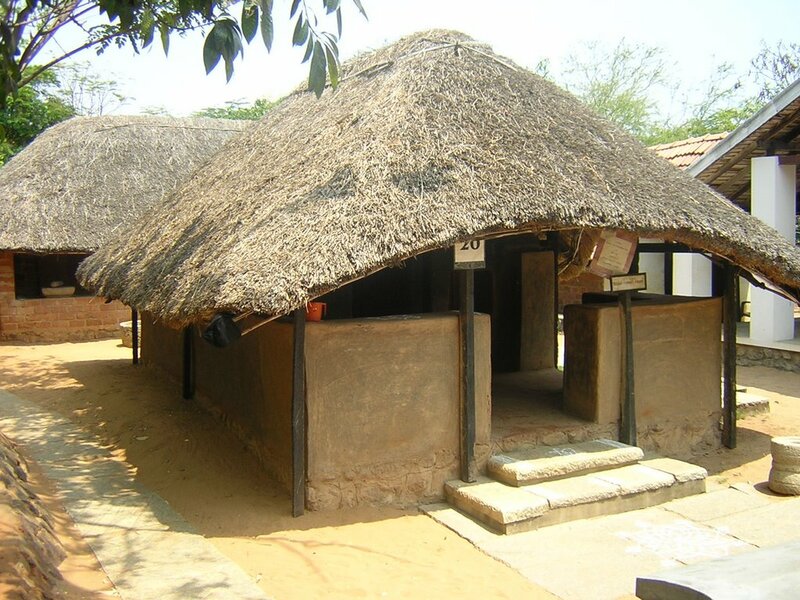 What are the Materials Used in Vernacular Architecture? Vernacular architecture is about using locally available materials for construction. The materials used in this architecture vary from place to place. The construction elements include adobe, rammed earth, mud bricks, thatch, cob, bamboo, stone, clay, timber, compressed brick blocks, clay-fly ash burnt bricks etc. It is sheltered in response to climate. It culturally connects with the surroundings. It uses materials that are available locally. What are the Influences on Vernacular Architecture? Various vernacular practices have evolved over the years with locally available materials and new techniques to fulfill the needs of the people. Climate is the factor responsible for influencing the architectural forms and keeping the inhabitants comfortable. In order to respond to the climate, the building designs have incorporated various elements like the courtyard for the interior in order to escape the summer heat. What are the Factors Influencing Vernacular Architecture? What are the Popular Forms of Vernacular Styles in India? India has rich vernacular traditions. Indian Architecture presents a varied range of vernacular styles. 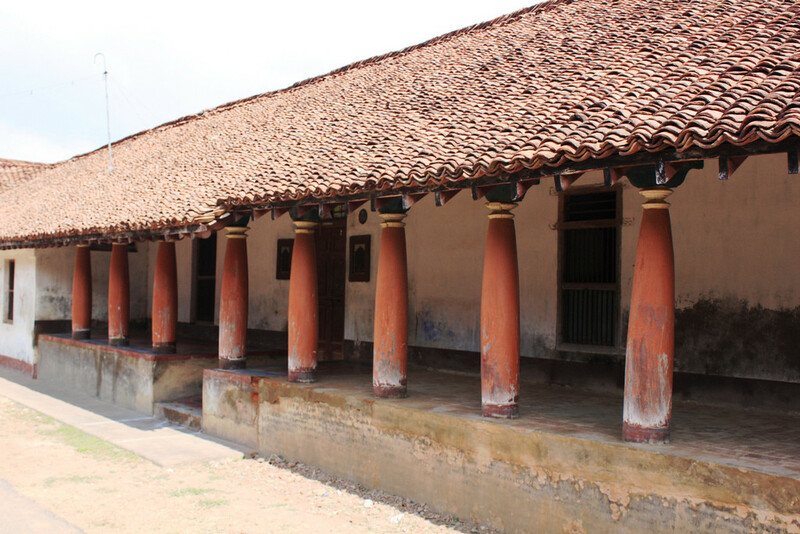 The Indian vernacular style is found in different rural areas of the country, built with native materials which are designed to meet the needs of the local people. It has evolved gradually over time with the help of skillful craftsmanship. It is one of the most beautiful styles of architecture. 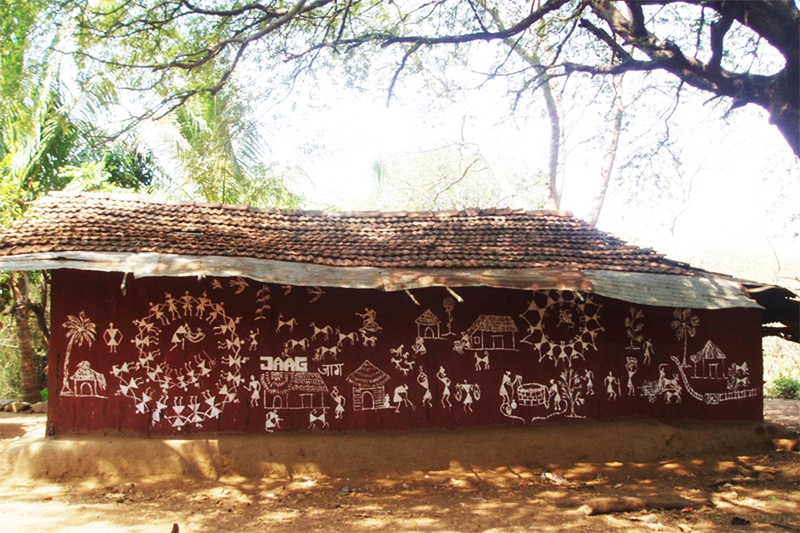 It is the traditional house of Maharashtra which is built by local materials like mud plastered walls that are made of ‘Karvi’ ( soft stem of Strobilantes callosus Nees plant) and supple bamboo. The floors are plastered with cow dung. The roofs of the houses are thatched with palm leaves and paddy straw that keeps it cool even during hot summers. They can also withstand heavy monsoons. It is a climate responsive structure. They are found in the northeast Indian state of Assam and nearby areas. They are usually single storied houses and do not have common walls with adjacent buildings. The houses are built to withstand earthquakes. The houses are made from different materials like wood, bamboo and reed mesh (locally called ikora) and a plaster set in wooden framework. They have a light tin roof and wooden floors that are earthquake resistant. The buildings are light and flexible. It is indigenous and inexpensive. They withstand frequent disasters like earthquakes, landslides, flood, etc. which would result in less casualties as compared to R.C.C. constructions. They are environment friendly. 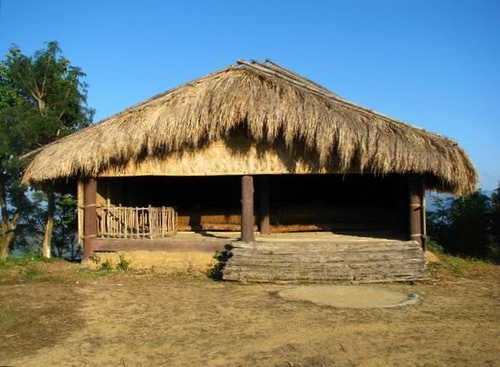 It is the tribal house of Mizoram. It is usually present in the north eastern tribes. These houses are dedicated to the youth of the community. It is located in the center of the Mizo village. The floor of the Zawlbuk consists of a strong bamboo mat carefully woven in a particular design. It is where the youngsters are trained to follow the traditions of the tribe. The partitions are made of bamboo screens. They use wood and bamboo to build their houses on the sloping land. 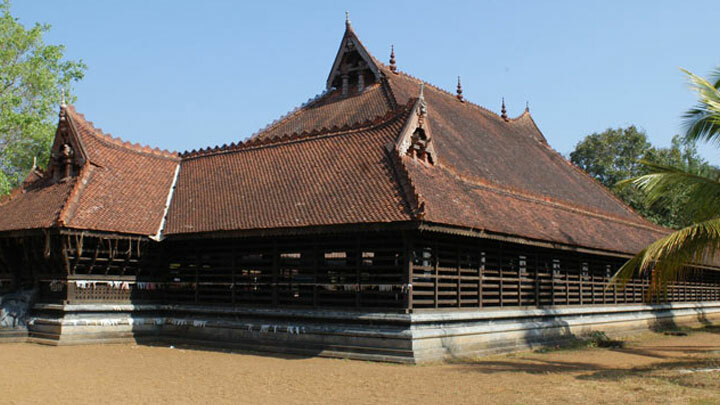 The roof is made of split bamboo covered by thick thatch, leaves or straw. Traditional Housing With Bamboo: They are the traditional buildings of northeastern region. The topography of this region consists of plains, mountains and frequent flood affected areas. Here, bamboo is primarily used for the load distributing structures. The walls of the house are prepared by mud, bamboo, and cow-dung as materials for construction. The flooring and roofing is also done from bamboo. Orientation: Different orientations of the building produce favorable thermal conditions in the building. 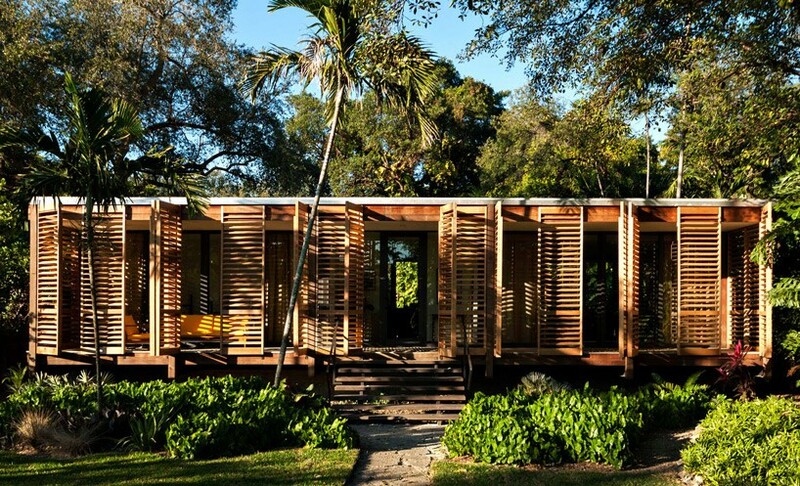 Shading: A building including its external walls and its openings get exposed to sun and water. In Vernacular architecture, overhanging eaves does the protection. Ventilation: The relative humidity of the building is regulated by cross-ventilation. It is primarily important for huts located in hot and humid climates. Some of the factors like form and massing, spatial organization and open and built distribution help to control the overall performance of the building. Importance of Building Orientation in Architecture! Plinth: It is the lowest part of the vernacular hut. Walls: The walls used are mostly load-bearing structures except they are wooden framed structures. Openings: To maintain the thermal balance, the vernacular huts have minimum possible openings. Roofs: They do not end touching the wall, but project outwards creating large overhanging in order to protect the wall from sunlight and rain. They are usually sloping roof and their pitch depends according to the wind speed of that area. Loft: It is the overhead storage in the built structure. This loft space separates the upper hot zone from the lower cool zone of the building. Water: It is the most important resource which has to be utilized cautiously. For this, there are strategies like water harvesting and recycling which have to be adopted. Structural Longevity: The materials used in the building decide the life cycle of the building. The materials that cost more and consume more energy and resource in their manufacturing can be used to generate more benefits over their recycling potentials and disposal. Light and Ventilation: The climate responsive buildings reduce artificial lighting and air conditioning systems. Technology: The technologies used are devices like jails, fountains, water to cool building fabrics, etc. add sustainable features at a macro level. Vernacular architecture establishes a relationship between people, climate and architecture. It demonstrates identity and sustainability. It reflects time, place and culture. 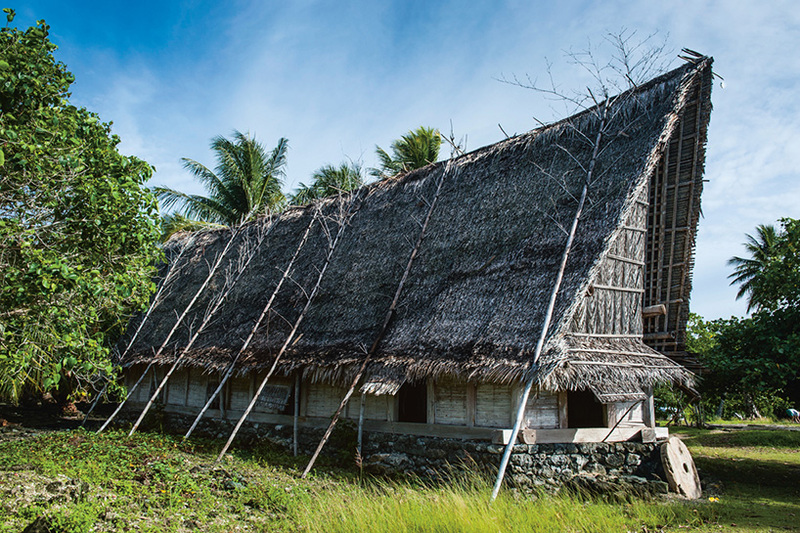 The sustainable approach already exists in vernacular architecture. The constructions involved here are simple and can easily merge with nature. It is less costly as the materials are locally available, hence the transportation costs gets reduced. The important features of vernacular architecture are durability and versatility. The basic goal includes producing functional buildings. Vernacular traditions exist for different climates and cultures. It keeps our traditions alive. Vernacular architecture is shaped by a vast variety of elements from history and the rich vibrant culture. Famous Buildings that Introduced the “Modern Movement” in India! Top 6 Famous Historical Monuments in India! Previous PostPrevious How to Choose Tile Colour According to Your Room Colour Scheme? Next PostNext What is a Framed Structure?